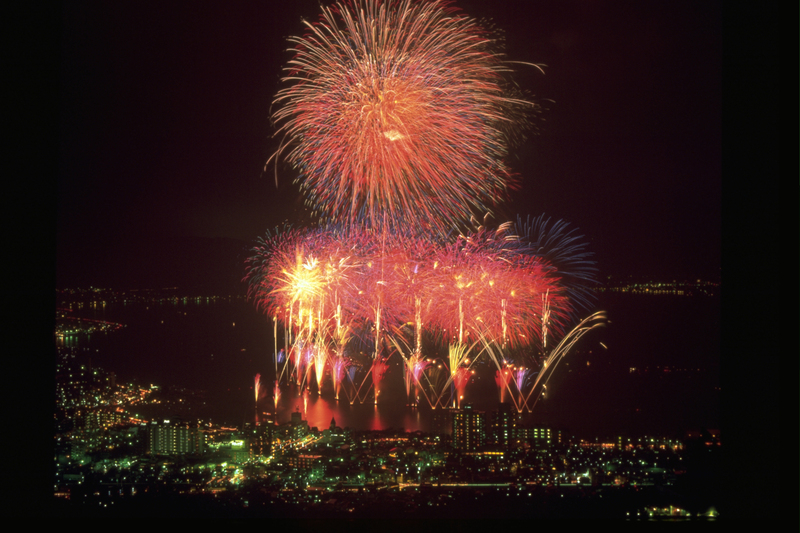 Suwa Lake Fireworks Festival is regarded one of the largest firework festivals in Japan. 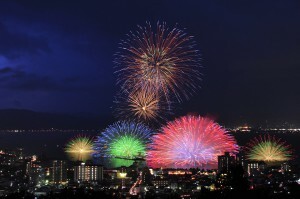 It is held in mid-August every year. 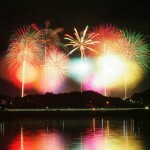 It also the largest fireworks in Japan. The festival will still be held in case of light rain but will postpone in case of bad weather. 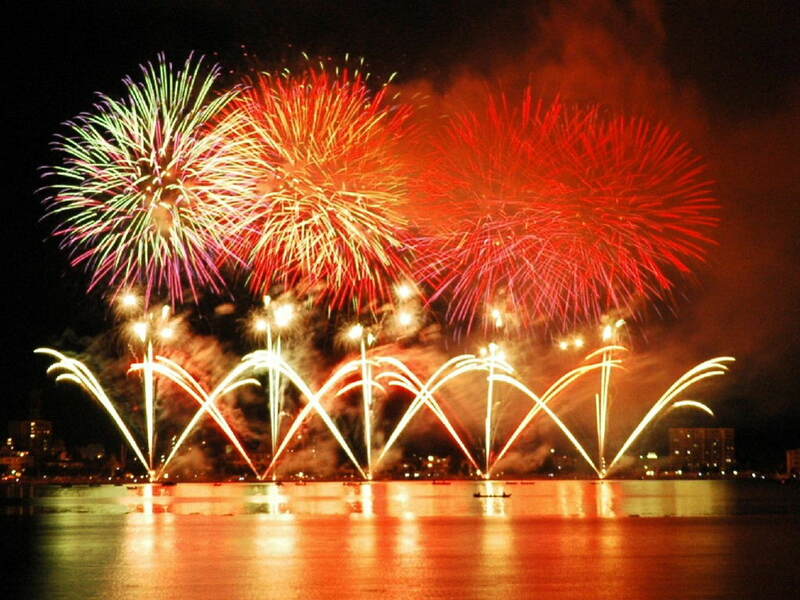 Approximately 40,000 fireworks will be released from the surface of the lake. The Star Mine, “Kiss of Fire” are two fireworks coming from opposite side, and will be released at the same time so they become half-moons when exploded. 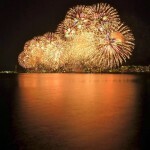 The grand finale, “Niagara” is a 2 kilometers long firework like a cascade. 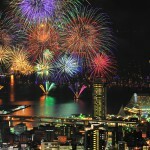 As many as 500,000 people come to see the firework and many of them arrive since early morning. If you want to get the good-viewing spot and do not want to come to the venue very early, we recommend you to reserve the paid seat in advance. You can buy the ticket from LAWSON Ticket. Tickets will be sold from July 31. Entrants will be selected by the postcard lottery if applications exceeded the maximum number. One box seat can accommodate 20 people. You will pay the ticket fee, if you win the lottery. *You can get a closer and better view at the fireworks in the Box Seat. Comfortably and Cozy Mt. Fuji & Hakone Experience Through Bus Tour!